2016. Steel, Copper, Glass, LED. Stowe, Vermont. 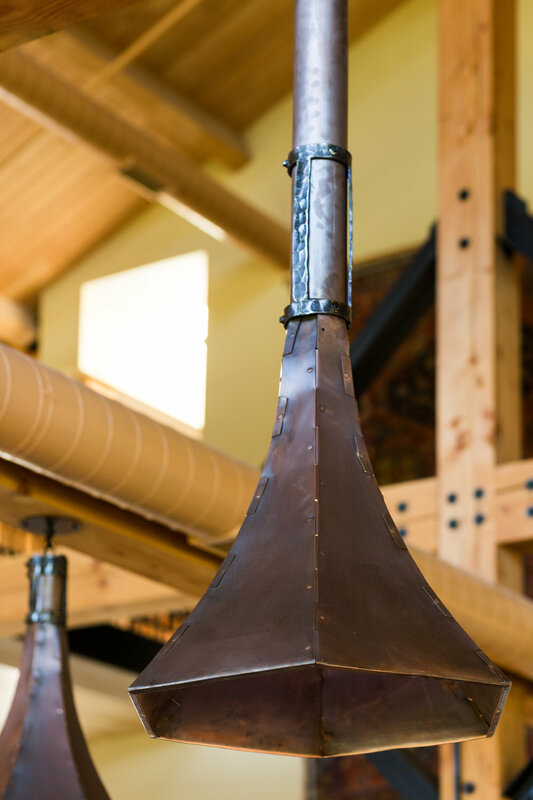 The von Trapp family, working with GVV Architects, approached Conant Metal & Light to design and fabricate a multi-fixture custom lighting program for their newly constructed Bierhall. Working closely with the family, I designed the suite of fixtures, including chandeliers, sconces, enormous bell-shaped pendants, entry sconces, cast glass door handles, a steel glass rack, and a massive 7' long 400 lb. multi-tiered entry chandelier. 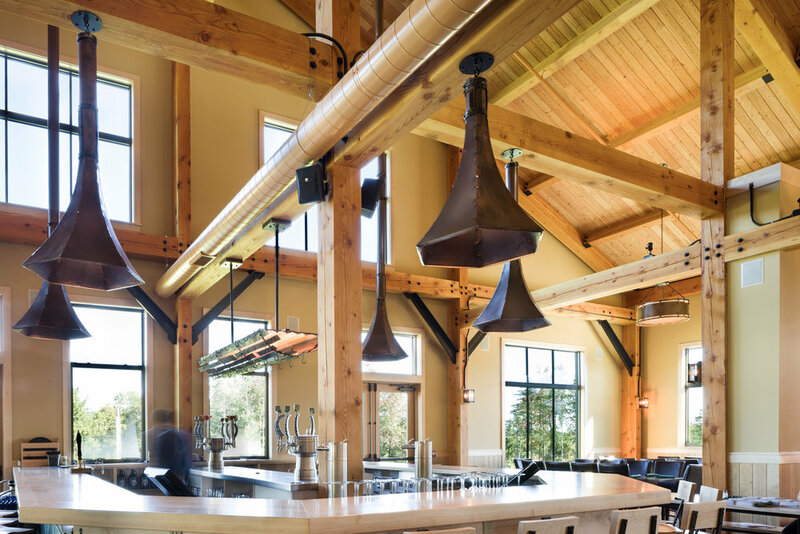 I oversaw fabrication and installation on the project, which featured hand-forged steel strapping and custom molded glass.